The art of film has come a long way since 1937, the year in which Disney’s first full-length feature, “Snow White and the Seven Dwarves,” was released. Innovations in technology — everything from the machines writers type their stories with to the cameras used for filming to the way in which movies are distributed and consumed — have completely changed the entertainment industry. Though storytelling has definitely advanced and become more nuanced, one thing remains the same. Disney storytellers get it right every single time. And the secret to their success? If you consider the story of “Aladdin,” there are a lot of intersecting parts. A “street urchin” dreams of living a life of luxury, a princess yearns to explore beyond the palace walls, the king’s advisor schemes to become all-powerful, a genie grants three wishes (but only to his master, whose identity changes at least twice), several cases of mistaken or hidden identity are thrown into the mix, and almost everyone is lying to one another. It’s complex. But if you zoom in to look only at the protagonist, the titular Aladdin, the story becomes inherently simple. Aladdin grew up as an orphan on the streets, always scrounging for food and struggling to get by. He’s forever stealing food from stalls in the market, and is always getting caught and having to run away from the guards. His is a life on the go, but, when he returns to the rooftop he and his monkey side-kick Abu call home, he reveals what he really wants. “Riff-raff, street rat,” he sings. “I don’t buy that. If only they’d look closer. Would they see a poor boy? No siree. They’d find out there’s so much more to me.” Aladdin doses off while staring at the huge Agrabah palace and musing that, if he only lived there, his troubles would be gone. It’s simple. Aladdin’s desire is to be seen for who he is — fiercely loyal, witty, someone with a good heart. Dive into any Disney movie and you’ll find the same thing. Marlin’s desire to protect his son in “Finding Nemo.” Belle’s desire to experience more of the world than her little town in “Beauty and the Beast.” Tiana’s desire to fulfill the dream she shared with her father in “The Princess and the Frog.” Moana’s desire to save her island, Woody’s desire to be loved by Andy in “Toy Story,” Hercules’ desire to know where he came from, Rapunzel’s desire to leave her tower and see the lights released on her birthday every year. Then, as always … there are complications. Not “complications” meaning a “complicated” story though — there’s a difference. Many writers mistake “complication” for “confusion,” and devise plots and subplots that lead to nothing and leave audiences wondering why they bothered to buy a ticket. No, these complications come when one character’s desire conflicts with another’s, whose conflicts with another’s, and so on. Let’s go back to our original example. Every single complication that arises in “Aladdin” is because of conflicting desires. Aladdin’s desire to be seen for who he is, Jasmine’s desire to marry for love and not wealth, Jafar’s desire to attain power, Genie’s desire to be free, Sultan’s desire for his daughter to choose a husband — all conflict and cause the problems that are the story of the movie. All of Disney’s complications are born directly from the characters themselves. That not only creates authentic storytelling, but also ensures that the stories themselves are exactly what they should be — about the characters. 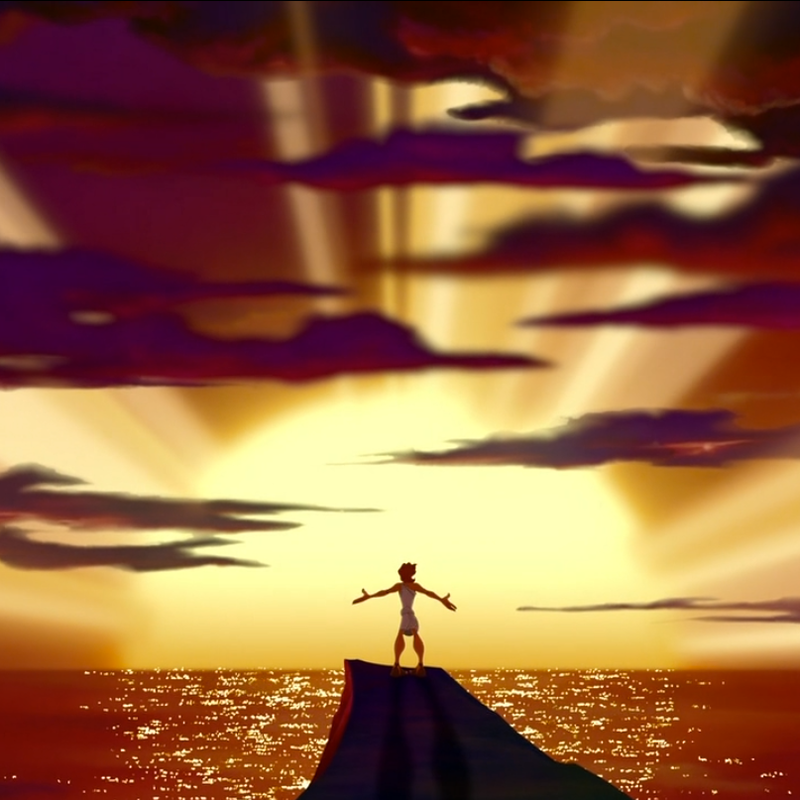 Disney’s figured out the key to successful storytelling, and it lies right in the characters. By giving each of their characters a simple desire, and putting the protagonist’s desire at the heart of each of their movies, Disney is able to create nuanced, complex stories that have layers of meaning. All stories — animated or not — should strive to do the same.